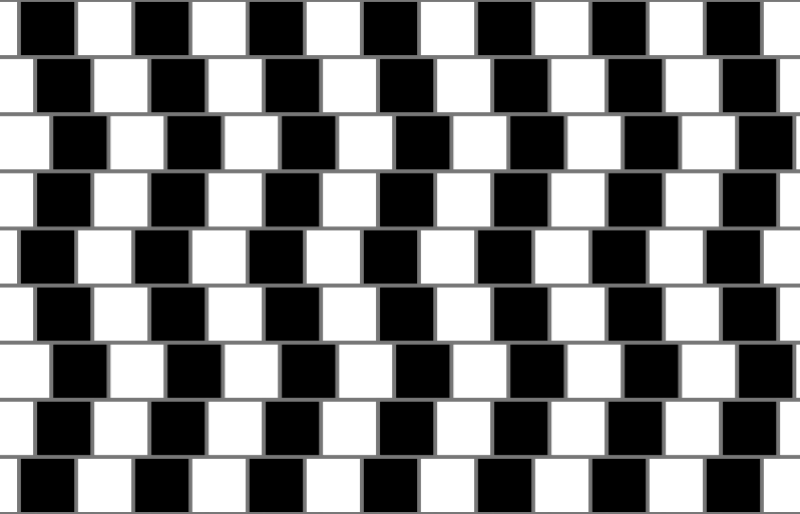 Are the Horizontal Lines Straight? This optical illusion is called the Cafe Wall Illusion. The horizontal lines are perfectly straight. You can test it by holding a ruler to the lines.